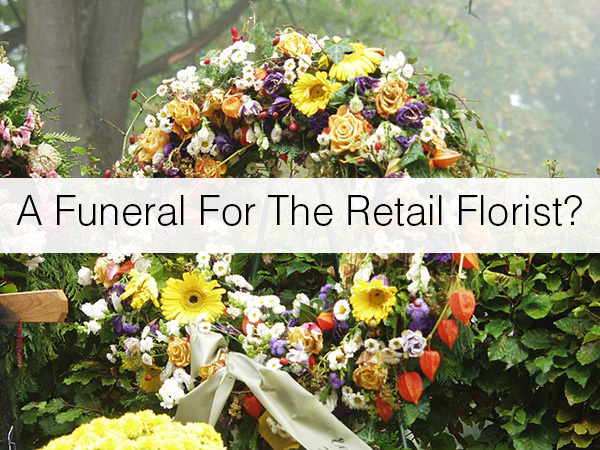 FTD will start offering flower sites to funeral homes — how bad is this news for the retail florist? FTD’s partnership with the largest provider of funeral home websites will allow them to immediately gain thousands of new customers. That means more sympathy buyers going to FTD, fewer going to local florists. And FTD can easily drop-shop sympathy products, cutting out the retail florist entirely. Drive More Orders to FTD Florists. licensed funeral homes in the United States and Canada. Another reason to ask yourself why you’re buying your florist website and technology from your biggest competitor. Some may say “Well that’s business.” However, FTD, Teleflora & 1800flowers have been operating lately with unconscionable, unfair business practices. They are using their members money (thru their ridiculous fees) to buy weapons (Media, web, drop-shipping & now funeral business) to destroy them (the retail florists). It is unbelievable!! Shame on them… Who do these wire services think they are the Government?!?!! Has anyone checked out the web site called FUNERALHOMES.COM? THey post a special “buy flowers now” button next to the funeral home information for all funeral homes across the country. It seems that most of the links on the buttons for any number of cities across the country link to a “company” called Town and Country Florist based in Millford Connecticut. Check out your city’s link and see how far your local orders are traveling before they come right back to you after running through that company and then the wire service… it seems to be a Teleflora hosted site. I contacted and spoke with the COO at Funeralhomes.com and he gave me a lame excuse that anyone can pay for the advertising on his site and he stated that he is not affiliated with Town and Country. I told him that Town and Country was pulling local orders from around the country… taking their cut and sending the order to the wire service… taking their cut and then sending the order back to a local florist who then fills the order. His response was that he does not do unethical things in business and could unwind the relationship with Town and Country at any time if other florists would like to participate by paying for the ad on his site. I will be interested to see how many florists check out their local market on this site and find that their local orders are going out of state before coming back to them through wire services. Wow…it’s way past time for us florists to tell the likes of ftd to stop taking local business away from local florists. It is hard enough to make ends meet in this industry as it is. I would almost say it is because now we get even more squeezed by the Wire Service. I was very uphappy when I read this article. How is this good for the customer? Adding additional layers of TOTALLY unnecessary expense and for what? To pad the pockets of a basic hijack of legitimate business? PLEASE! I will NEVER use an FTD florist again! Ftd also has partnerships with funeral homes. Ftd approaches the funeral homes telling the funeral homes to refer phone calls from loved ones wanting to send flowers to a particular funeral, to their website (FTD) anyone that visits these funeral home websites are constantly reminded how and where to order flowers…i.e. FTD also the funeral home has to have a florist to fill their own orders for say casket sprays etc. the funeral home then goes to their florist and says that in order for us to continue to do business with you, you have to be a member of FTD. These funeral home websites give the funeral home 20% on each flower order given to them . Guess who pays for the 20%? The local florest filling the order gives up the 20 % just like a regular wire order from another florest. So the funeral homes are making big bucks off their local florest and paying for ftd costs at the same time. unethical on both sides. funeral home and ftd.